With higher efficiency and an extend heating system lifespan, Sulfur-Free BioHeat® could save you thousands of dollars through the years. And best of all? No modification to your heating system is needed. When you use Sulfur-Free BioHeat® Fuel, you’ll still receive our free oil spill insurance. With less wear on your system, Alvin Hollis can charge less for your annual service agreement plan. There is an important difference between the Sulfur-Free BioHeat® Fuel we deliver and the “low-sulfur” oil offered by other heating oil dealers. 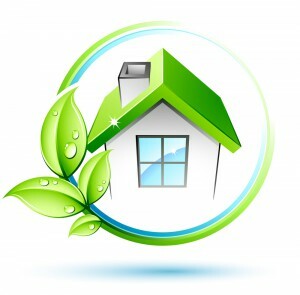 While reducing the amount of sulfur contained in heating oil is a good step toward environmental responsibility, it simply does not offer the same benefits as a true sulfur-free product. When you make the switch to Sulfur-Free BioHeat® in your home, the planet benefits, too, thanks to an 80% reduction in particulates emissions and a 20% reduction in nitrogen oxide emissions. And Sulfur-Free BioHeat® Fuel is even patriotic! It is made domestically from agricultural or recycled resources, reducing America’s dependence on foreign oil and creating jobs here at home. Many Alvin Hollis customers have already made the switch to Sulfur-Free BioHeat® to warm their homes, reducing their impact on the environment and saving money in the process. It is a simple process, requiring no change in equipment! Call Alvin Hollis at (781) 335-2100 or visit alvinhollis.com to schedule an appointment to discuss BioHeat® for your home!